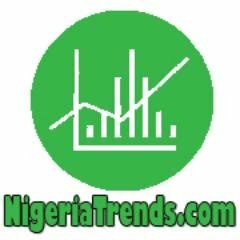 NigeriaTrends.com — If there’s any simple way to describe Linda Ikeji’s success today online, it’s the fact that she started from the bottom, now she’s a billionaire (naira)! Linda Ikeji’s first blog post before the money and fame, is trending on NigeriaTrends.com! Linda Ikeji’s first blog post on Blogspot / Blogger, a free weblog publishing tool from Google which is also hosted free of charge; was published on Sunday, November 26, 2006 at 2:52PM Nigerian Time. Linda’s first blog post was the beginning of her struggle as a Work From Home blogger and second attempt at financial independence after her modeling career collapsed same year. At the inception of lindaikeji.blogspot.com, she was barely making a post per day and her posts barely gets comments. Even her level of writing and curating contents from across the web – was below standard so to speak, but with consistency; she became better at her craft and understood what interests-engages her audience the most. Now her posts gets an average of 200 comments! Ms. Ikeji fought through the pain over the years of her struggle, now she’s enjoying the glory! ???? The title of Linda Ikeji’s first blog post is “this is me…linda” and it was published November 26, 2006. Without further ado, below is Linda Ikeji’s first post ever on her blogspot! “hi everyone. my name is linda ikeji, im 26 years old, i am from nkwerre, imo state. i am a graduate of english from the university of lagos. i finished in 2003. im christian/catholic. im fro a family of 9. i have five sisters and a brother. im the second girl, second child. im 5 ‘8’, pretty..or so people have told me..i no im pretty..lol. im a model, been modeling for eight years in nigeria. in 2004, i started my own company called blackdove communications…why the name blackdove? it was inspired by silverbird..a name and a bird. it so happens that my name favourite colour is black and favourite bird is the dove..so viola! i run a modeling agency and im also into events management..mostly beauty pageants and fashion shows. done a few myself, the problem with this country is lack of sponsorship..anyway, thankfully this year i really discovered my true passion..my magazine. fm&b magazine. how many of you have seen it? i did a formal launching on the 25th of june this year..unfortunately i havent been able to release the second edition..which by the way has been ready for a while now..its just been difficult raising money to print it. After all the struggles and pitfalls over the years, today Linda Ikeji is reportedly worth over ₦3.2 Billion naira ($16 million as of March 2016) and reportedly makes over ₦59 million naira per month from her blog. Linda Ikeji today is Africa’s top earning and highest paid blogger. She’s more than just a mere blogger now, Ms. Ikeji is a Nigerian celebrity with a golden and generous heart. Her LIB fans can attest to that and all the giveaways. In conclusion, we believe knowing how far Linda Ikeji has come is imperative for anyone looking to follow her footsteps; and that’s the purpose of sharing her first blog post on NigeriaTrends.com! Linda Ikeji started from the bottom, now she’s flying HIGH!